C.C. Designs: Welcome To Our Haunted House!!! Welcome To Our Haunted House!!! This was so much fun to build!! 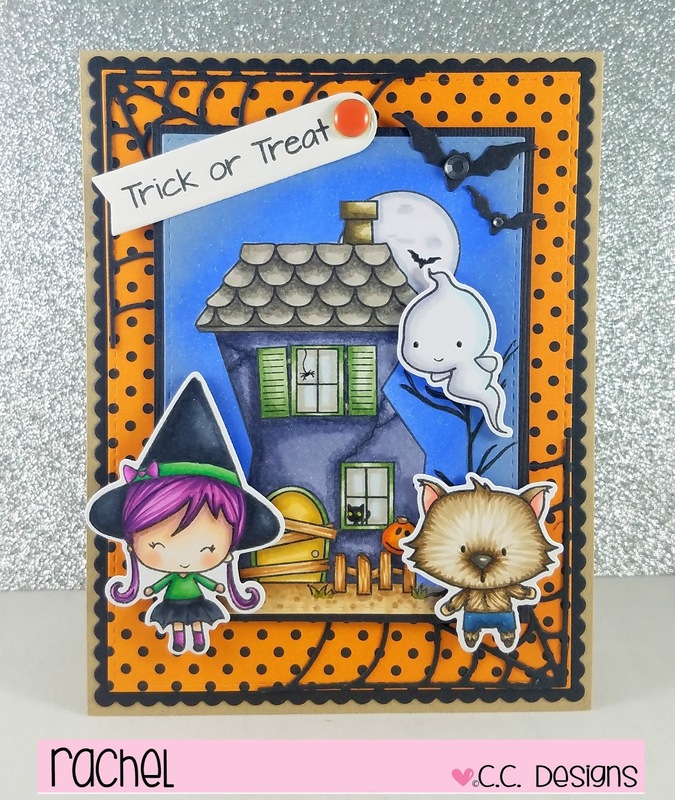 from the Trick Or Treat stamp set. orange and black polka dot patterned paper. a few cobwebs on the corners. the images with some foam tape to make them stand out. and bats from the Halloween dies set. in the C.C. Designs shop!! Hope this gives you some crafty inspiration!